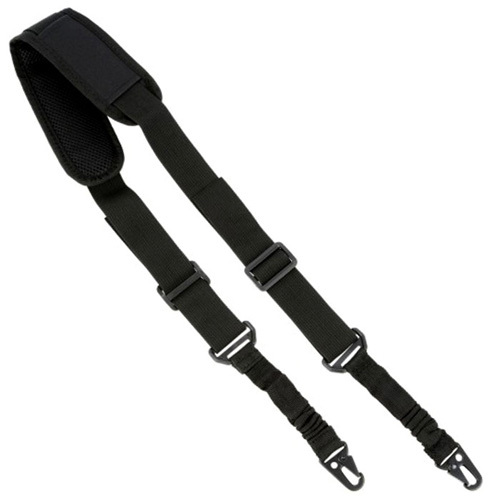 The Cybergun 2 Point Bungee Sling is designed to meet any and all of your field carry needs. This lightweight sling keeps your hands free during days on the range, and allows your weapon to be carried securely in a variety of positions. The bungee material is durable and flexible. Black material resists stains and other signs of wear.